USB C to DVI Adapter With Gigabit Support! A great All-In-One USB C to DVI adapter supporting 1920 x 1200 resolution for your Type-C enabled devices. Access a super-fast Ethernet connection, perform up to 5Gbps data transfers, and watch high definition DVI all while delivering power to your laptop to charge it up. 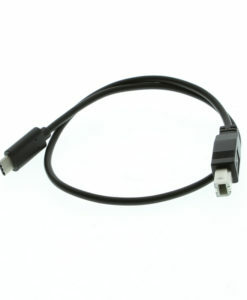 The USB-C to DVI (female) multi function adapter provides a RJ45 Ethernet port, USB 3.1 Type-A port, DVI, and USB C power delivery port. This very versatile USB C adapter will work with MacBook, ChromeBook Pixel and other USB 3.1 Type-C supported devices. With its multi-function capabilities, connecting to a super-fast Ethernet Network and watching DVI video resolution simultaneously is easily done. 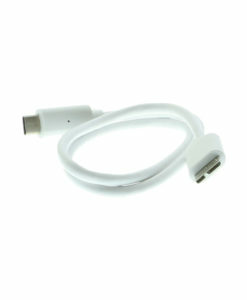 When using your USB Type-C device with this adapter, the device can be charged while in use through the USB C power delivery port. 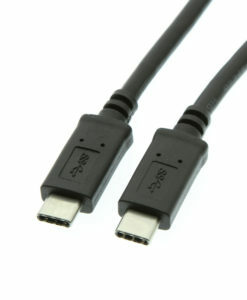 The USB 3.1 compliant (5Gbps) Type-A port is backward compatible with USB 2.0 devices (480Mbps). The DVI HD output supports up to 1920 x 1200 video resolution from your host laptop or notebook, it is also backward compatible with 1080P displays.